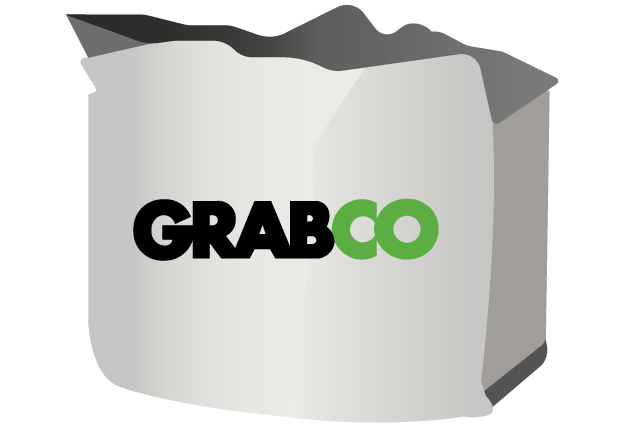 WHY CHOOSE GRABCO FOR GRAB HIRE? At Grabco our fleet of modern 8-wheel grab lorries are ready and waiting to provide you with an efficient yet simple waste removal service. Grab Hire, or "Muckaway" as it is often referred to is a means of waste removal that is more cost effective than skips and has the added advantage of being able to reach over walls and fences to remove waste from areas that have restricted access. Extra information about our Grab hire service. How much can a grab lorry hold at once? 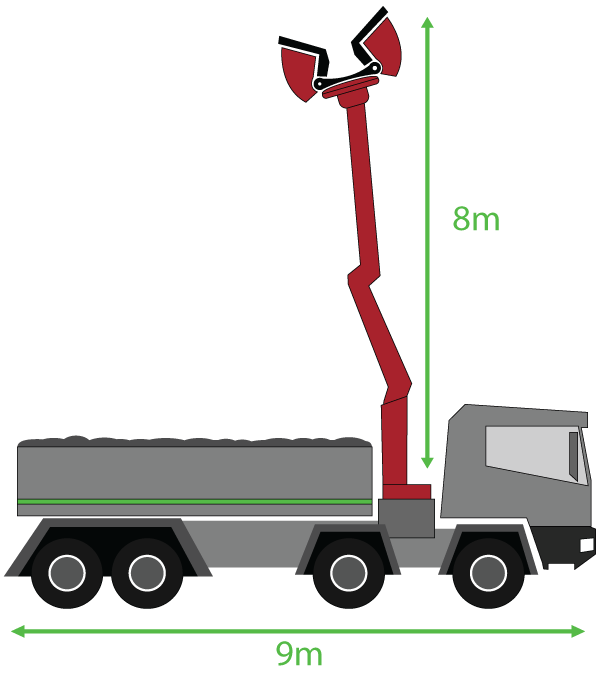 Once filled up, our 8-wheel grab trucks are authorised to carry a maximum of 32 tonnes including their own weight. That's an average of 16 tonnes of material. What can a grab lorry take? 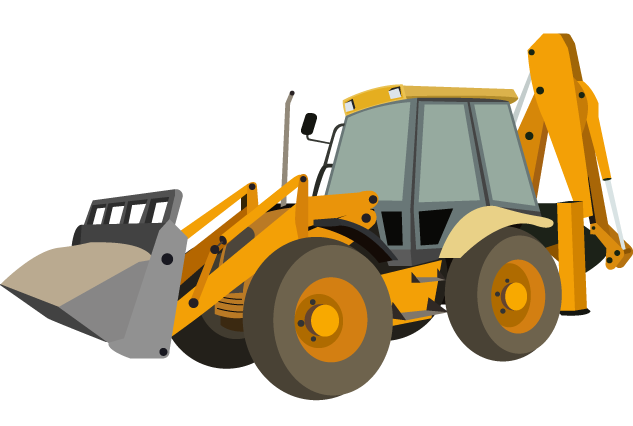 Grab lorries can carry a range of materials, including: clay, stone, soil, muck, green waste, aggregates, concrete, topsoil, and general waste. 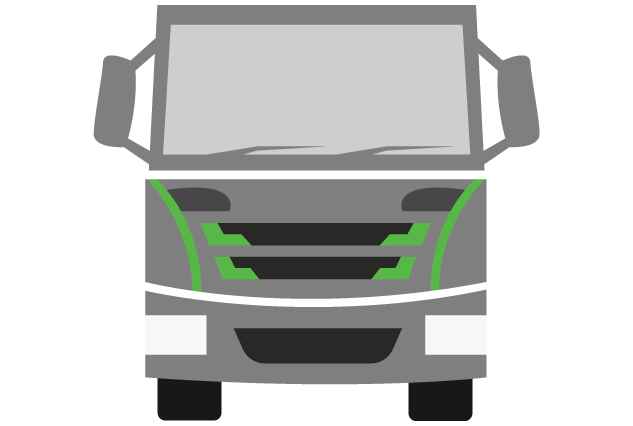 The time it takes to load our lorries depends on how the waste is set out for our drivers on their arrival. If your waste is in one place and easily accessible it will take us a maximum of 30 minutes to be on and off your site. This time may vary depending on where the waste is situated. Do you grab away horse manure? Yes. We are happy to grab away your horse manure. Will the lorry fit in my driveway? Our largest grab trucks are 3.2 meters wide, 3.8 meters high and 9 meters long. 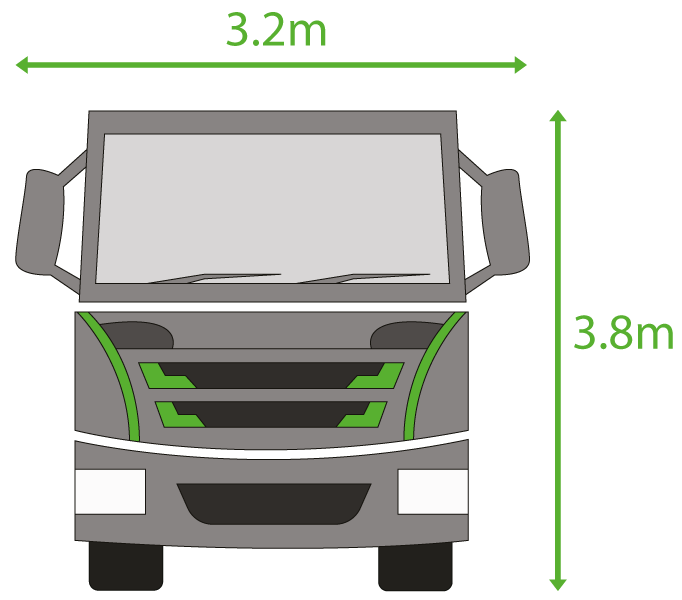 If your driveway can cater for these measurements then we can fit. However, if we can't fit in your driveway, we'll try our best to work something else out. Can you remove waste from my back garden? If there is enough space next to your garden, our grab lorries can park up next to your garden fence and grab your waste over the fence. The grab arm can reach up to 8 meters. Is grab hire cheaper than skip hire? 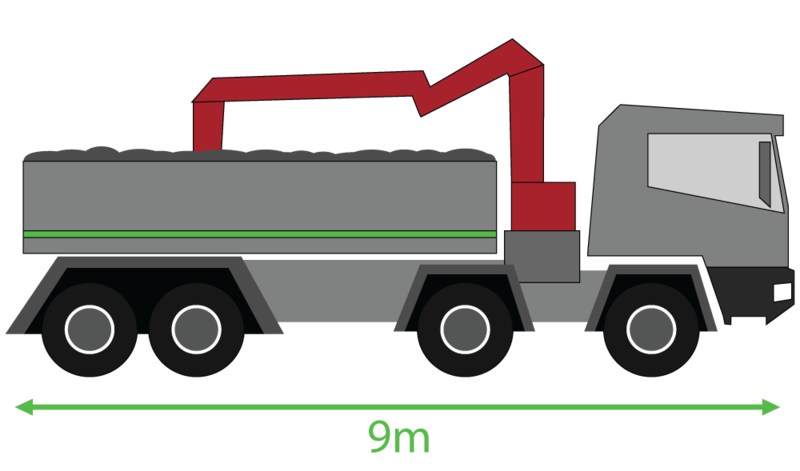 Our grab lorries, on average, can hold three times as much as one skip. 3 skips are worth more than one grab hire so you will get the best value for money from grab hire. Do you need a permit with grab hire? No, our grab lorries can be on and off your site within 30 minutes. Do you remove tree stumps? Yes, our team are happy to remove your tree stumps and other garden waste. Do you dig out ponds and lakes? 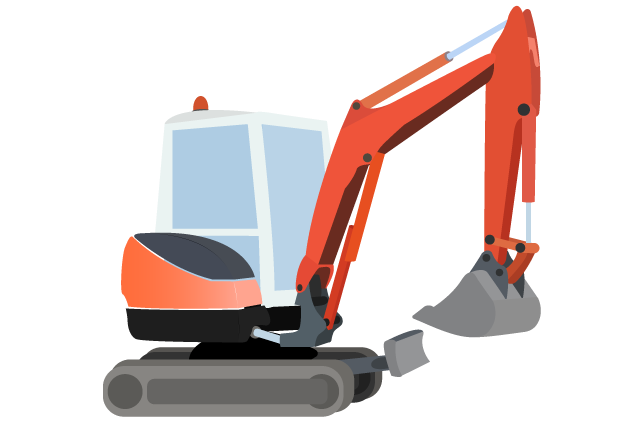 Yes, our mini diggers can dig out ponds and lakes and our grab lorries can remove all the waste produced.